Aren't capacity and cage length the same thing? Since cage length determines capacity. Anyhow, @Netakure most short or medium cages have enough capacity (usually around 35tooth) for a big cassette like an 11-42, since the capacity is the difference between your smallest and biggest gear in a 1x setup. 42-11=31 So you'll need a derailleur with a 31+ capacity for an 11-42 cassette. The next thing you have to look out for is the max sprocket size clearance, on most short and medium derailleurs that will be somewhere between 28 and 36. But like @PhilDAS and @maynardeames show, you can increase the clearance with an extender. I see the "due in stock date" for the Arkose has been pushed back 3 weeks. Not ideal as I wanted to check sizing out before ordering. Anyone know if due in stock means pre-orders will be sorted then some will be in store to see in the flesh later? I didn’t mean capacity as in amount of slack it can take up. I meant the biggest cog it can fit under. They’re in the specifications. Many thanks for advice on this. But to get the already-delayed grybrid on the (wet) road ASAP, I have bought SKS rubber-band-attached mudguards. However when time permits I hope to get a better solution in place and sell them. I've also realised there is a dedicated mudguard thread which I should read. Cheers for now. I kind of understand it. But in the end cannot do what I want, having a wheelset with 30t and another with 40t and swapping without much fiddle. BTW: A long cage will work fine with a 30t cassette. Haven't tried my Apex 1, but my XT di2 worked perfectly with an 11-28 cassette. 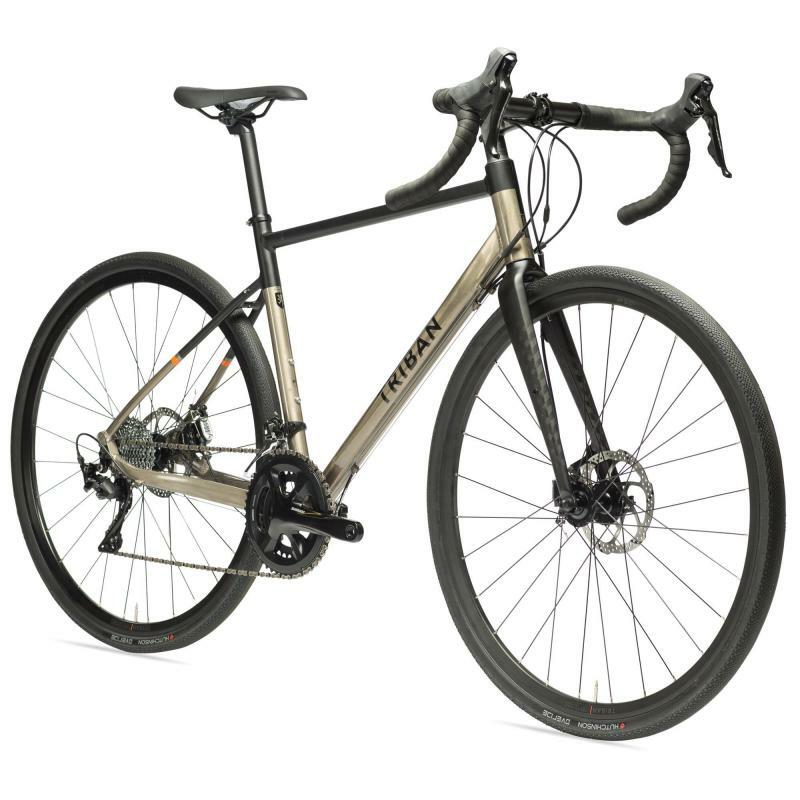 We are starting to think about replacing my wife's Pinnacle Lithium with something a bit more geared towards the gravel/light touring end of things. She is 5'1 and current bike has 700c wheels, from my understanding this can't be optimal to have such large wheels on a smaller frame? Would 650b or even 26" be better for her, and is this negated if you then fit higher volume tyres? 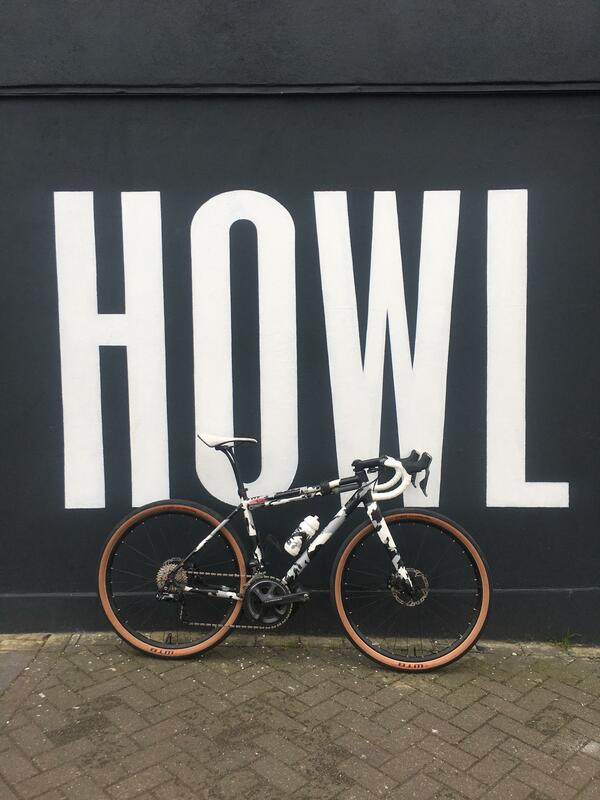 Although intended for light touring thinking to get something as light as possible, as a 10 or 11kg bike would equate to c.25% of her total body mass. Any thoughts on what to look for/buy/build much appreciated, shout if this needs moved elsewhere. Cheers! Need to get the frame geo right. What kind of stack and reach would you be looking at? 650b or a fat 26" should be the go at her height. i went to surrey quays decathlon last night and they had a gravel 520 in the workshop bit. they were a bit puzzled by the cost uplift compared to the non gravel 520 - as suggested previously paint, bars, tyres seem to be the differences. the paint / clear laquer is much nicer in real life, i think. i'm a big fan of the orange/gold accents. they said once they have them in stock (this was the only one) it's possible to take one for a 48 hour test ride - i had no idea this was a thing at decathlon. FYI I run a DA RD-9000-ss on one bike and 105 RD-5800-gs on another, with 50/34 x 11-32/34 (have 11-32 on one wheelset 11-34 on another) works fine.... Worth noting, on neither have I done the b-screw up all the way or flipped it, or any other silliness. I don't know exactly but nothing to aggressive, good for easily seeing what's happening when riding in traffic and comfortable for longer days. Is it not that 650b with say, 40mm + tyre, works out to the same geo as a 700c bike? Ta! It depends quite a bit on the distance between mech hanger and axle on your frame. I have an even older Ultegra 6700 SS with 50-34 and 12-30 (and pretty sure it would take a 32), a few teeth less but well over the recommendation. I have not noticed any difference whatever I do with the B screw. Edit - actually seems it's only 1 tooth over capacity. But 2 teeth over max large cog size. Lots of great info here about low-gearing, mixing road and off road etc. lovely wrist breaker bar angle! Chain reaction cycles is now selling their Vitus Energie Cx bike with 1x Apex and hydraulic brakes for 799.
ffs just when i thought I'd made a decision on the arkose!! Just got a Kepler Disc (2018) frameset but was wondering what carbon fork options there are if I were to upgrade in the future?